Cedar Bluff Auto Care of Knoxville, TN is your place for batteries, belts and hose inspection, air conditioning repair, tires, exhaust, brakes, and more. When you start your vehicle’s air conditioning system, the compressor works by putting the refrigerant under pressure, sending it to the condensing coils, which are generally in front of your vehicle’s radiator. The condenser expels hot air to outside the car, cooling the air within the vehicle. When this happens, the refrigerant is cooled, and it changes form a gas to a liquid, which then passes through the expansion valve and to the evaporator.Once the evaporator receives the liquid-state refrigerant, it loses pressure and cools the remaining liquid. The vehicle’s blower moves air across the evaporator and into the vehicle’s interior. If you keep your air conditioning unit turned on, the refrigerant goes through this cycle continuously. If any of these components is damaged, it can turn your cool car into a furnace during the summer months. Your vehicle’s air conditioning issue could be as simple as topping off refrigerant to replacing a valve. When your air conditioning unit is not working as it should, bring your vehicle to Cedar Bluff Auto Care. One of our trained air conditioning specialists will inspect your car’s air conditioner, all lines, the evaporator and the compressor for leaks and wear. Most autos utilize an axle system with CV (constant velocity) joints connecting the transmission to the drive axles and wheels. The CV joints are protected by rubber or plastic boots to keep lubricant in and water and debris out. If one of these boots cracks or breaks allowing the CV joint to dry or corrode the axle itself may break. Vibration in the front end of a car when turning or oil on the inner wheel are signs that a CV joint may be damaged. Contact Cedar Bluff Auto Care for an inspection and put any axle worries to rest. 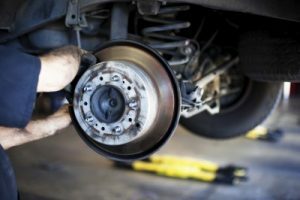 The correct balance and alignment of a vehicle's wheels are important for a smooth ride and to prevent consequential damage to tires, tie rods, and other major components. An alignment corrects the angle of your wheels while a balance equalizes their weights. It is recommended that a balance and alignment be performed whenever tires are replaced or rotated. Excessive wear on the inner or outer tire or drifting to one side while driving indicates an alignment is needed. The most common sign that a balance is due is shaking of the vehicle at speeds of around 60 or 70 MPH. Modern vehicles are equipped with computers that generate codes whenever circuits encounter abnormalities. At Cedar Bluff Auto care our friendly and talented ASE Certified techs use computer diagnostic testing equipment to read these codes and determine if any particular part or component of an auto is malfunctioning. In many cases, computer diagnostics give mechanics the ability to hone in quickly on a problem that might have otherwise taken days to discover. Computer diagnostic testing is great, but it takes great technicians like those at Cedar Bluff Auto Care with extensive training and experience to properly read the results and address any issues. If your battery dies before you replace it, you might be stranded without a vehicle. The expert team at Cedar Bluff Auto Care can examine, diagnose and replace your battery as needed. You can trust us to service your battery and, if necessary, help you find and install the perfect new battery for your vehicle. By following your vehicle’s owner’s manual and having your vehicle inspected and maintained regularly, you can greatly reduce problems and save money in the long run. Let the expert team at Cedar Bluff Auto Care help your vehicle stay in good condition. The cooling system in any vehicle is imperative to it's overall performance. Auto manufacturers recommend regular radiator service to provide optimum engine performance and prevent the need for costly repairs. At Cedar Bluff Auto Care our ASE Certified technicians perform complete radiator services which include: a cooling system flush, pressure test, and inspection of the cap, hoses, and connections. Overheating is the leading cause of roadside breakdowns so be sure and check your coolant levels about every 4 to 6 weeks at home. If you can't remember the last time you had your radiator serviced, make an appointment with us today. An automobile's suspension connects its body to the parts that move it. Some major components include shock absorbers and struts, tires and wheels, and the steering system. Problems with a vehicle's suspension can cause difficulty steering because the suspension absorbs the force of the moving vehicle. If you notice your car lurching forward at stops or pulling on turns, it could be a sign of a failing suspension. Other indications are a rough or bouncy ride, uneven tire wear, or oil visible on the shocks. Cedar Bluff Auto Care is here to help with all suspension repair and maintenance issues. 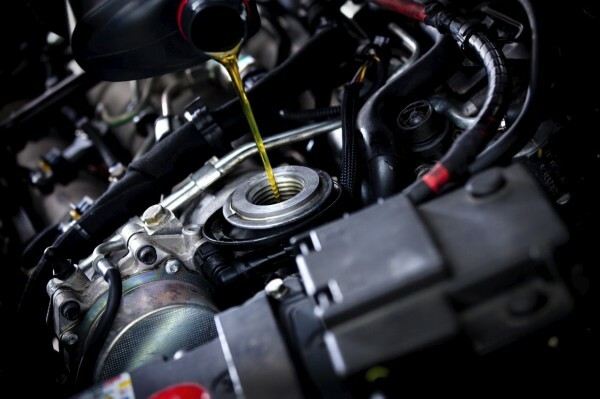 By replacing the old transmission fluid, the expert team at Cedar Bluff Auto Care essentially gives your vehicle’s transmission new life. The new fluid restores your clutch’s holding power. This reduces slip and heat production. Additionally, flushing the old fluid gets rid of small bits of clutch material and metal shavings, which can damage your transmission by clogging passages and wedging themselves between moving parts. Getting rid of the old fluid reduces wear within the transmission. When a vehicle's wheels are properly aligned it prevents consequential damage to the tires and suspension and steering is improved. If you've noticed your vehicle pulling to one side when driving or excessive wear on the inner or outer side of your drive tires your car or truck may be in need of a wheel alignment. Many vehicles are knocked out of alignment when rear end damage is sustained. An alignment corrects the angles of the wheels by setting them to exact specifications. A wheel alignment service at Cedar Bluff Auto Care ensures your wheels are rolling in perfect harmony.